Let me review my first ever MAC eyeshadow. Been eyeing on this eyeshadow color on Ebay (again, we don't have a MAC store here in Cebu), but I find the price too steep! Imagine paying Php 1,000+ for a single eyeshadow pan with only 1 - 2 colors?! Don't get me wrong, I know MAC is worth the splurge but I'm just stingy when it comes to eyeshadows! haha.. I prefer buying them in palettes so I can mix and match colors. Two coordinating shades baked together in a single pan. A superb way to experience Mineralize's unique properties: exceptionally sheer and lightweight application, and easy, rich colour. Finishes include super-fine pearl that leave a soft dimensional shimmer on the skin. RETAIL PRICE: $19.50 on MAC's website or around Php 900-1,000. WEIGHT : 2.2 grams / 0.07 US OZ. SHADES : Not sure how many shades are available coz this one is LE. * the packaging is cute..
* the pan holds more product than their regular eyeshadow which is only 1.5 grams. Can be applied wet if you want to intensify the color. To minimize fall outs use a brush made of natural hair instead of synthetic. Wanna know why? Read my previous post here. Don't have a natural hair eyeshadow brush? Apply loose powder heavily on the undereyes to catch falling eyeshadow. 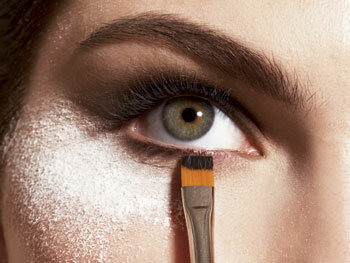 When you're done with your eye makeup, gently brush the powder with a fan brush. 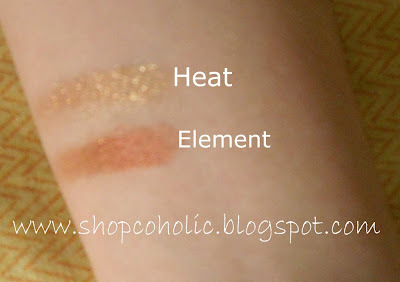 i want to purchase another MAC eyeshadow! wahaha..
Heat is described as a rich yellow gold, while Element is a rusty red brown (frost). This is originally part of the A Muse Collection. 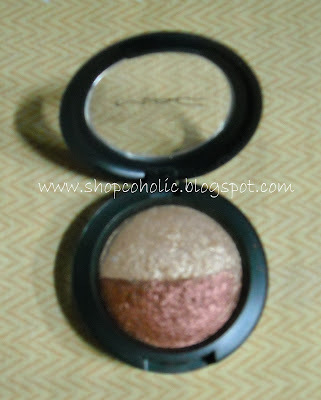 MAC released it again last 2008 together with the Sheer Minerals collection.